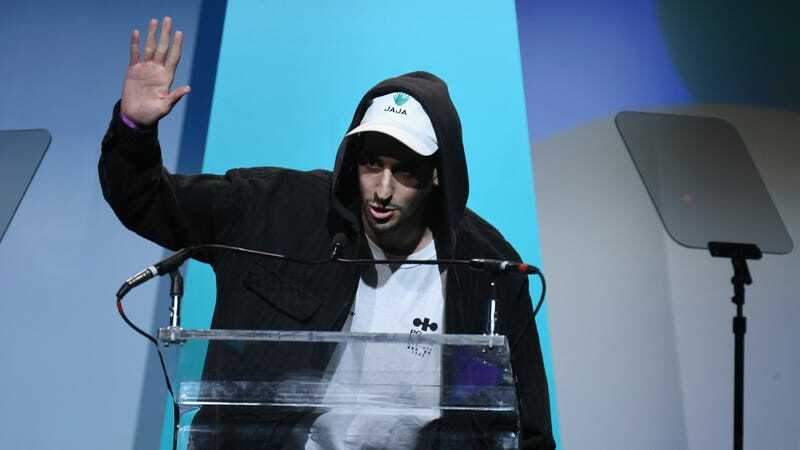 FuckJerry founder Elliot Tebele accepting a Shorty Award for the @fuckjerry account...wearing a JAJA tequila hat. There’s a lot of reasons why you might have heard about FuckJerry. In addition to being a popular Instagram account, it’s also come under fire for playing a big hand in promoting the ill-fated Fyre Festival via owner Elliot Tebele’s social media agency Jerry Media. It’s also notorious for building its success by stealing jokes from comedians, creators, and the internet at large. So it shouldn’t come as a surprise that one creator is biting back by suing the company for stealing one of his memes to promote a tequila brand. Which suspiciously looks a lot like the one FuckJerry posted to Instagram sometime “in or about January 2019,” according to the complaint. The filing alleges that Tebele personally had a hand in stealing the meme, as well as profited from it as Jerry Media derives most of its profit from “curating” content that it then monetizes through advertising. In the lawsuit, Coker alleges that FuckJerry used his name in connection with the meme, thereby “caus[ing] confusion, or to cause mistake, or to deceive the public that the Defendants’ goods or services are authorized, sponsored, or approved by, or are affiliated” with him. The filing also reveals that Coker at no point gave FuckJerry permission to use his joke and that his attempts to message the company about the issue went unanswered. It appears the post in question has since been deleted from the @fuckjerry account. The cover letter of the lawsuit indicates that Coker is demanding $150,000 in damages. Technically, Tebele’s statement came after the meme was allegedly stolen from Coker. But given the fact that the company’s self-admitted history of stealing jokes has spawned the #fuckfuckjerry movement, that argument is probably not going to win much sympathy from the rest of the internet.